Xcode is the easiest way to register your iOS device. Connect your device to your Mac and click Use for Development in Xcode's Organizer window. Sign in with the Apple ID associated with your iOS Developer Program membership and Xcode will register the UDID of your device to your iOS development team. Xcode is the easiest way to request certificates. 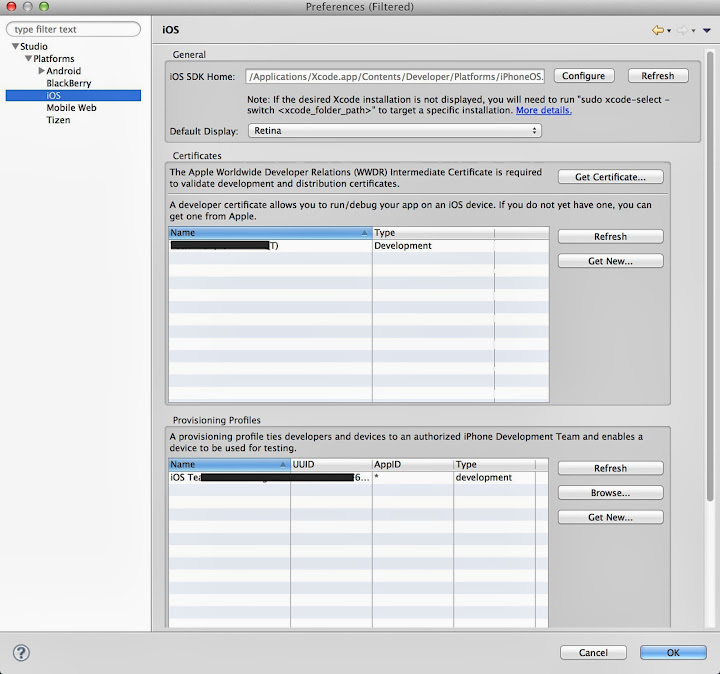 Connect your device to your Mac and click Use for Development in Xcode's Organizer window. Sign in with the Apple ID associated with your iOS Developer Program membership and Xcode will automatically generate your certificates.